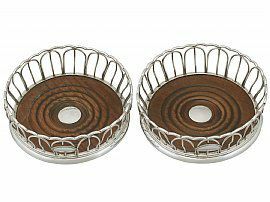 These exceptional antique George IV Newcastle sterling silver coasters have a circular rounded form. 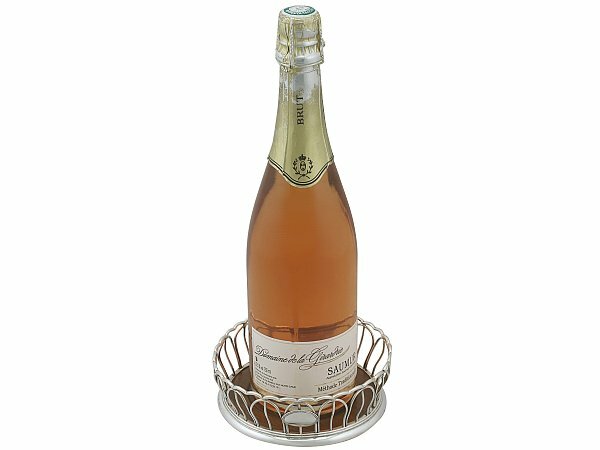 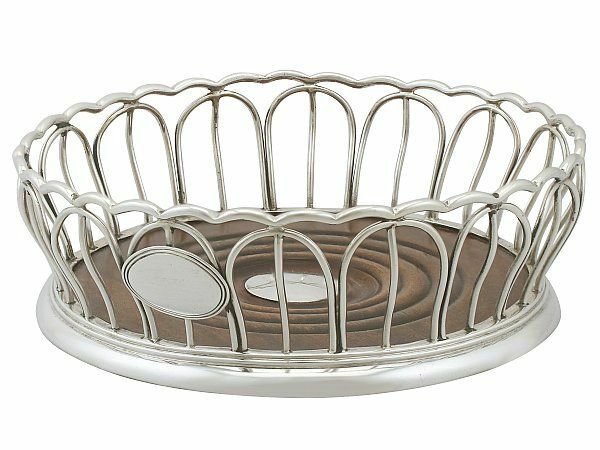 Each coaster has a wirework body which incorporates the original applied oval vacant cartouche encompassed with a thread decorated border. 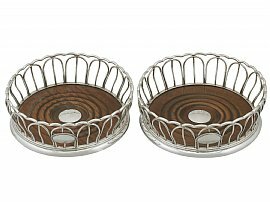 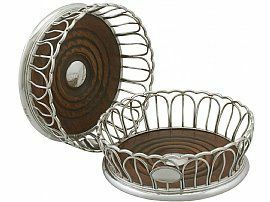 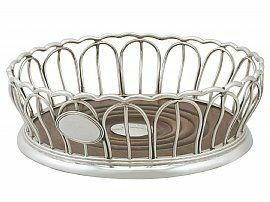 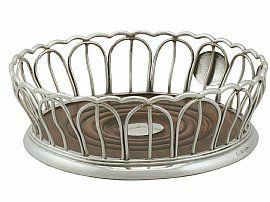 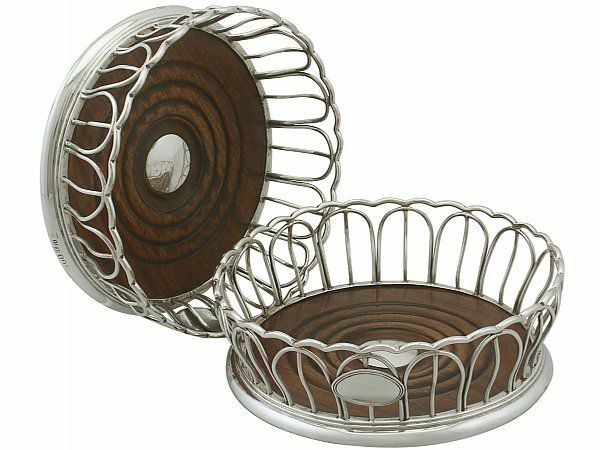 The upper rim of each coaster is ornamented with an undulating wirework border. The coasters are fitted with fine and impressive turned mahogany bases, embellished with the original silver buttons to the centre. 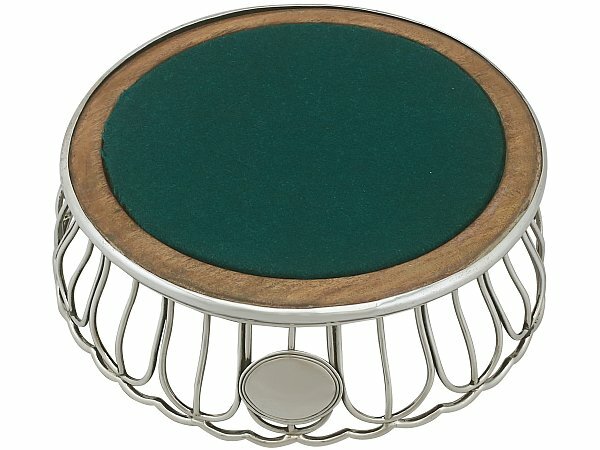 These sterling silver coasters are fitted with green baize to the underside. 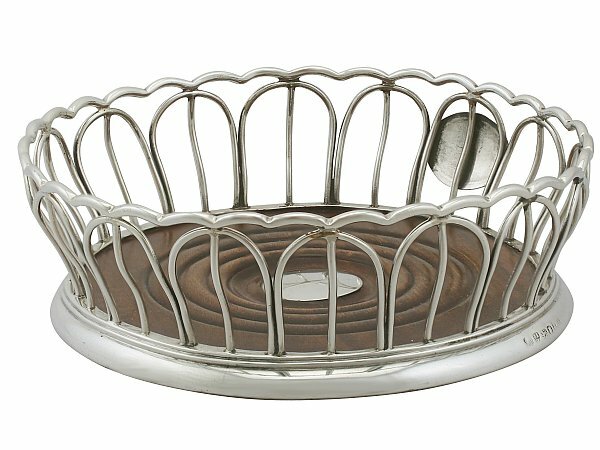 This style of coaster is rare to the market due to the limited output from the provincial Newcastle George Samuel Lewis & John Wright. 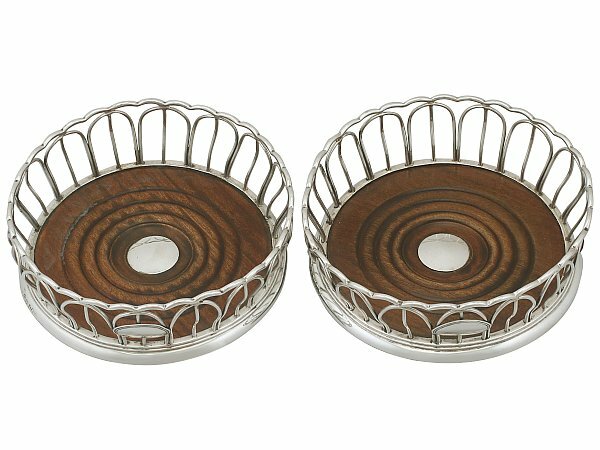 These impressive antique coasters are an exceptional gauge of silver, exceptional quality and in excellent presentation condition. The mahogany wood bases have been professionally polished by a cabinet maker. 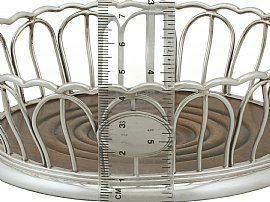 Full hallmarks struck to the surface of each coaster are clear; the nature of these coasters dictates the location of the hallmarks to the rim of the base. 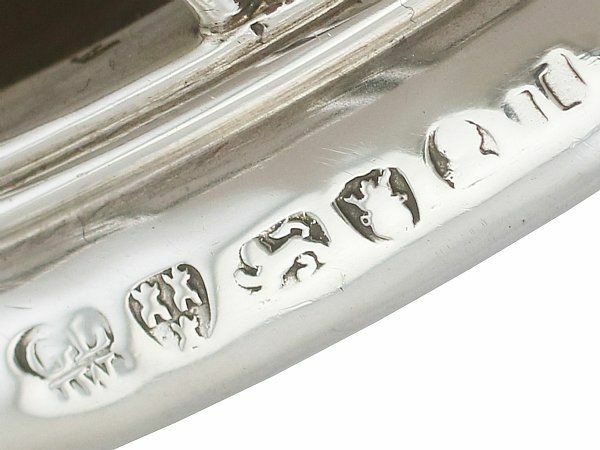 In many extant coasters, because of this, the hallmarks may become very worn and illegible. 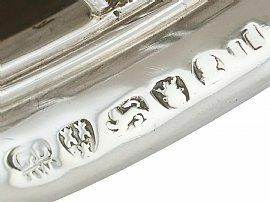 In this instance however, the hallmarks show signs of wear in keeping with age, but may be considered clear. 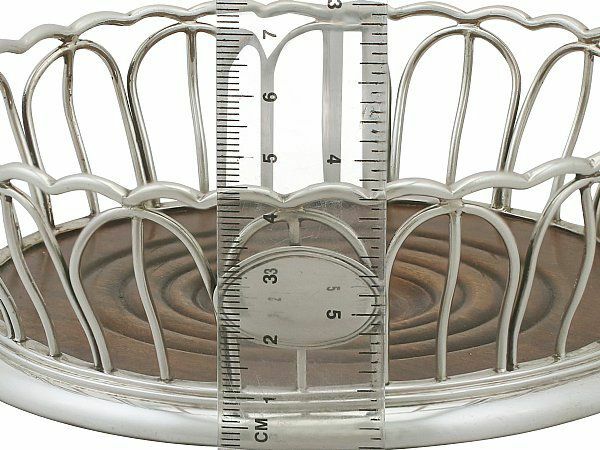 Internal diameter of base 11.7cm/4.7"